Max Milligan Acoustic Fingerstyle Contemporary download. 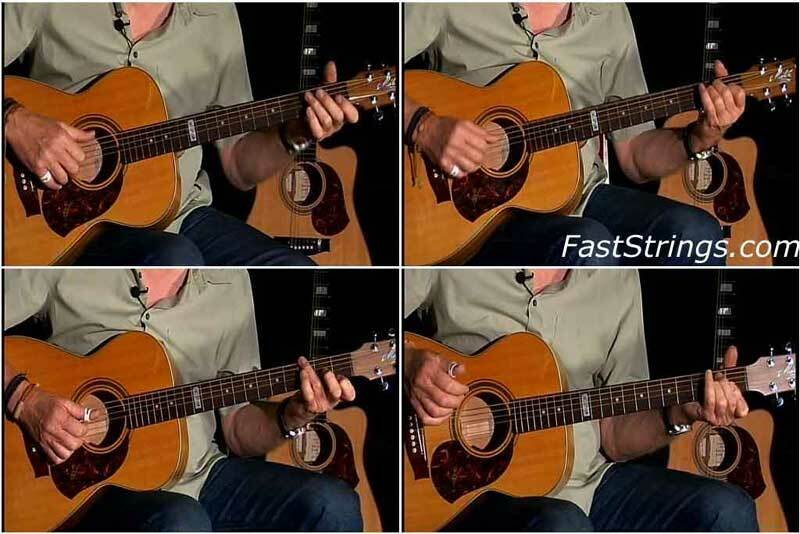 The Acoustic Fingerstyle series of instructional programs will teach you all the skills needed to master the acoustic style. This 3rd lesson, geared toward the intermediate player, will show how to successfully put together an arrangement of a well-known piece. Classic traditional tunes are used to demonstrate the different styles and executions used by great guitarists like Tommy Emmanuel, Merle Travis, and Chet Atkins. This program will help you become a red hot picker.